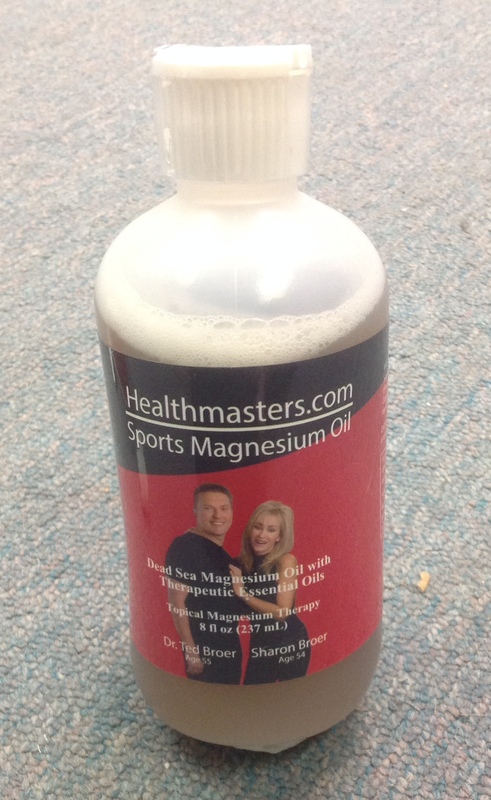 Sports Magnesium Oil- 8oz. is a positively-charged, ionic, mineral solution has a mild, refreshing scent of vanilla & spearmint to lift the spirit and revitalize the senses. Designed for athletes and active adults, this supercharged sports oil works synergistically with the human body to increase energy levels and optimize muscle function for peak performance. Before, during or after strenuous activities, the Magnesium Sports Oil can boost endurance, reduce fatigue and cramping & speed muscle recovery. Amazing product!!! My wife's back was sore after doing some yard work, and I thought I would try the sports oil on it. My wife (5 expected her back to be sore the next day, and more the day after that&nbsp;(due to her fibromyalgia condition), but it was not sore at all (she had back pain to begin with, due to her fibromyalgia). Two days later her mom (80) was complaining of her back being sore (she's had chronic back pain for years, and also has fibromyalgia), so my wife thought she would try it on her. They had a girls day out planned with our daughter long after my wife applied the oil (about 3 hours), she said she had no pain! They were able to enjoy the day together, walk the mall, have lunch (Nana's treat) and enjoy each other's conversation and company. That was yesterday, and she still feels good today (after only one application). So, she tried it on her nagging hip pain, and she says it feels "much better!". I wanted to buy the magnesium salt soak and oil for my wife, but I'm so glad I opted for the 4-pack kit (great bargain) which included the sports oil and body balm as well. It's rare for a product to meet, much less exceed my expectations, but this one certainly does. Thank you! Lonnie Wenger Murrieta, CA. The use of this product in conjunction with the Magnesium-Malate Acid supplements have changed my life! The description of my pain issue(s) is located in the comment section on the Magnesium-Malate supplement product page.</p> Another awesome product from Healthmasters! I can't thank you guys enough!